Anand Prasad specializes in investment structuring, establishing joint ventures, mergers and acquisitions, private equity deals and cross border and domestic financing. He has good understanding in evolving government policies and advises on developments in a variety of sectors and has advised clients on cross-border transactions, foreign equity restrictions, entry strategies, investment structures, competition law and employment issues. 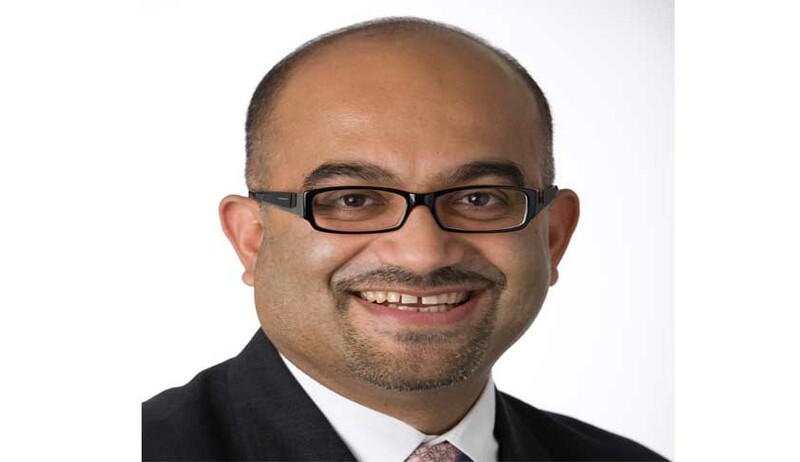 Anand has been consistently recommended for his expertise in Corporate/M&A by Chambers Asia-Pacific and Asia Pacific Legal 500 in 2011, 2012 and 2013. He has also been acknowledged as a prominent name for his expertise in corporate, regulatory communications, and internet and e-commerce in The Indian Lawyer 250, 2012 guide. Anand is also the Vice Chair of the Cross Border Investment Committee of IPBA and Treasurer of the SILF. Live Law: Trilegal is often referred to as a first generation law firm. What were the key challenges which you faced in setting up the firm? Anand Prasad: The brand ‘Trilegal’ came up in March 2000, but we set up practices in Delhi in late 1999, Bangalore in 1998, and in Mumbai in early 2000. I cannot recall any unexpected challenges in setting up of our firm. All challenges were along expected lines, i.e. building up a practice, building and retaining teams, working with good clients, and doing interesting work. There was also the challenge of creating a common culture in the law firm and challenges arising from a bunch of bright people looking to work together. The point being that all these issues ought to be anticipated as you move along the path of building a professional organization. So, I don’t think any one issue or challenge stands out in my mind as an unexpected challenge. Live Law: It is well-known that Trilegal had a "best friend" relationship with London based international firm Allen & Overy. Not many top Indian law firms have such a tie up in place with international law firms. Your take on this. Anand Prasad: Almost every firm in India worth its salt would have had an offer or have had some sort of discussion with an International firm to do a tie up. However, while some firms did, some did not get into any definitive relationship. There could be various other reasons for them not wanting to tie up with international firms or for such relationships not to materialize. From our perspective, the decision to tie up with Allen & Overy was driven by the fact that they are an excellent firm, one of the London “magic circle”, were fun to engage and work with, and had robust internal systems and processes. Through experience, we had realized that in order to run a firm in smooth fashion which translates in giving clients better service, required not just good lawyering but also a whole host of internal processes, policies and technology. So, for us, it made sense to tie up with Allen & Overy because they had been doing this for many years and had more sophisticated systems. For us, it was easy to step in and learn from the A&O experience and not having to undergo the process of reinventing the wheel. Therefore, our decision to tie up with Allen & Overy was primarily based on the fact that it was an excellent firm, with excellent people and clients and was a well-run firm in terms of the systems. Also, we felt nice that a firm like Allen & Overy would want to tie up with us. In terms of clients and referrals from A&O, we expected those to replace the loss of referrals from other international firms we worked with on account of the A&O relationship. That’s exactly what happened. However, we did end up building deeper relationships with clients on account of our A&O relationship. Separately, getting into a relationship with A&O also enhanced our visibility in the Indian market. Finally, the decision to tie up with A&O was taken in the expectation that Indian legal services market would open up in next 6 months to a year. However, that has not happened. Live Law: Much has been said about the entry of foreign law firms in India and its impact on the domestic legal market. Do you foresee the liberalisation of the Indian legal sector anytime soon or is it a pipe dream? Anand Prasad: Not until 2 years into the new government. This government is too weak to take even sensible decisions, so opening up of the legal market is going to be a challenging decision for them. The new government has to be strong enough to take on the opposition to be able to push through the decision. In my mind, it will take at least a couple of years for any new government to take such a decision. There are two kinds of opponents to the opening up of legal market, one is an emotional opposition and the other is a commercial one. The emotional reason, which to my mind is valid, for opposing is primarily driven by the lack of reciprocity argument. Reciprocity in this case could be both on accounts of regulatory restrictions on practicing law in foreign jurisdictions and on account of visa restrictions. Hence, to my mind opening up of the legal services market has to follow relevant jurisdictions granting Indian lawyers reciprocity. The other opposition to opening of the legal services market comes from certain law firms for commercial reasons. I suspect that these law firms anticipate that a bunch of their younger partners and associates will join the international firms for better salaries and for the experience of working in an international organisation. Secondly, there will be a risk that Indian Law firms would stop getting referral work from those International law firms that set up in India. While appreciating these commercial apprehensions and their right to oppose liberalization, Trilegal begs to differ. Trilegal sees opportunities rather than a threat in any market liberalization. Firstly, an opening up of the market will enhance competition in the legal services market which will be good for the client community. For instance, Indian Airlines and MTNL started performing better when there was competition. Secondly, junior lawyers including junior partners in Indian law firms will benefit enormously by the opportunity to receive better training and higher remuneration when they work for the international firms. Of course, the entry of foreign law firms is expected to generally drive up the cost of legal services, but there is nothing to stop an Indian firm from offering their services to a client at lower prices or enhance their services levels and remain competitive. Lastly, my sense is that opening of the market will also allow Indian firms to hire foreign lawyers and partners. This will, to my mind, help Indian firms evolve into international firms and take the challenge overseas. Live Law: In your view, which is one of the most significant developments in the Indian legal sector in recent years? Anand Prasad: The rise of the commercial firms! Indian legal services were typically dispute resolution driven and lawyers approached practicing the law in technical/jurisprudential terms. Commercial lawyering now requires lawyers to understand business and commerce, and results in clients receiving business advice that has a legal basis. Commercial lawyers understand the market and they advice their clients on what to do in a commercial context which a typical old fashioned legal practitioner might not. So, the most significant change in the legal market, to my mind, would be that the lawyers have become more commercial in the manner in which they work with their clients. They are friendly with their clients and the nature of the client lawyer relationship, in the commercial legal practice, has undergone a change. Live Law: You have over 20 years of experience in corporate law practice. Which deal/ case in your career stands out the most and why? Anand Prasad: There have been many challenging cases. In the recent past, the most significant one would be helping “Telenor” when their telecom license was cancelled by the Supreme Court. So getting new licenses, dealing with their minority partner, and dealing with host of other issues concerning the case was extremely challenging and intense. In fact, when you look at all other telecom players whose licenses were cancelled, everybody has actually walked away. Telenor was the only one, with the exception of Videocon, which is in another league, that has survived. So, it was very challenging when such a large investment was eroded, yet, you are somehow trying to retain value, fire fight and live to fight on. It was very interesting. Live Law: What will it take to develop a pro bono culture in Indian law firms ? Do you believe that the firms are doing enough in that sphere ? Anand Prasad: One, there should be internal enthusiasm and wanting to do pro bono work amongst the lawyers. Secondly, in the West, clients want to see their legal advisors doing pro bono work. This is one of the big motivators in the West to do pro bono work. In fact, when you look at websites of international law firms, in particular the American firms, there will be a link that lists their pro bono practice. So, until our clients start wanting us to do pro bono work, it is not going to take off in any significant manner. Today most pro bono work is self-driven. A lot of law firms in India actually do pro bono work, but nobody advertises it in any significant manner. In India, most firms do it for their own satisfaction and out of the motivation of contributing back to society, but there is no external reason to it as in the case of West. Live Law: How do you ensure the growth of the firm together with making the progress inclusive for all the members of the Firm? Anand Prasad: When you say inclusive, there are two parts to inclusiveness. One is economic; i.e. the staff and the associates need to get paid more when the partners are making more money. Two, respect for people. The staff and associates need to have the opportunity of contributing to the overall general well-being of the firm. This requires a degree of transparency where one can speak freely, express their views, and to see implementation of those views. So, it becomes important to value the feedback and respond to the suggestions that one is getting. If you treat people with less respect and see it as a master/servant relationship, then it is not inclusive. Live Law: Law firms in India tend to have a high rate of attrition. Is this trend healthy for the legal market? Anand Prasad: There is a view that attrition can be both good and bad. Good attrition is where it helps remove people that do not fit into an organization for either cultural or professional reasons. Attrition is bad when people that bring value to a firm leave. I cannot speak for other firms, but for Trilegal the experience has been fairly balanced. We have not suffered significantly on account of attrition. Given our history, where we come from, a first generation firm that relies on quality of legal services as its USP for building a practice, results in all of us, partners, associates and staff having to function in relative high pressure environment. We appreciate that not everyone needs to share our vision or approach and that people are entitled to aspire for a far more relaxed life than what we offer. Having said that, Trilegal wants to run its practice in a certain way, it wants to deliver services to a client in a certain way and therefore, when there is disconnect with that vision, people would leave. Attrition becomes a problem where some people that you don’t want to leave, leave the firm. There must be one or two such instances which one encounters from time to time and this is something which all firms do their best to avoid. We do our very best to ensure that nobody quits our firm for the reason that they have been disrespected, subjected to unprofessional behaviour or otherwise ill-treated. Live Law: Over the years, you would have closely dealt with various multi-jurisdictional legal issues. Can you share some of the interesting issues? Anand Prasad: Since I do more inbound work, I would respond in the context of foreign clients coming to India. Most cross border transactions need significant amounts of cultural adjustments. These are in the nature of adjustments to the business culture or the legal culture etc. For instance, in the context of some countries like India and China, the term "close of business" might mean before next morning. While clients belonging to many parts of the Western world might read the phrase to be before business closes i.e. 6 P.M. In that respect, it is interesting to see how one gets his clients to get used to the cultural aspect of India. Law is easy to understand, but cultures require more alignment and it becomes important to understand each other’s culture and respond to the divergence in cultures to create a success. Live Law: What is the vision of Trilegal? Where do you see the firm 5 to 10 years down the line? Anand Prasad: I would not see it in terms of number of people or in practice size. I can’t say that we have definite targets, financially speaking. The way I would like to see it is that if some client has a complicated situation, does “Trilegal” pop up in their mind? And that is a relevant criterion from our perspective. Do they feel that we would get them across the trouble zone, and in an effective fashion? We just want to be viewed as one of the best if not the best firm!